Nvidia's latest uber graphics card is perhaps the ultimate PC gaming accessory, although you are going to need a cool $3,500 if you want to play Far Cry 2 or Crysis as the god of gaming intended. That's right, the Nvidia Quadro FX 5800 is quite possibly the costliest gaming accessory of 2008! With its 4GB of onboard memory and a bandwidth of 102GB/s TechRadar is sure that it does the business. Nvidia is clearly aiming the device at markets other than gamers, with the website blurb informing us that: "The Quadro FX 5800 ultra-high-end solution gives geophysicists, designers, scientists, engineers and other technical professionals visual supercomputing from their desktops. 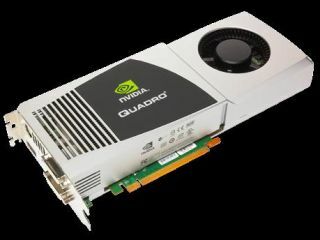 "Professional applications take advantage of the advanced feature set of the Quadro FX 5800, including 4GB of frame buffer, providing professionals with the right set of tools to deliver results that push visualization beyond traditional 3D."